Just with slighter modifications, we keep bringing you some ever new wooden furniture ranges that are practically being used inside our houses. There was a time when people used to have a sarcastic look towards out wooden pallet activities, they just thought that this homemade furniture can never equate a market based wood furniture. But as the time kept passing and we remained working on the pallet wood creations whole heartedly, now this is the time our efforts are being appreciated and acclaimed. More and more people are becoming the frequent surfers of pallet wood recycling websites. People have switched to this constructive activity from other time wasting activities. And why wouldn’t they get attracted towards this, I mean this has got all what it takes to be an attractive time consuming activity. 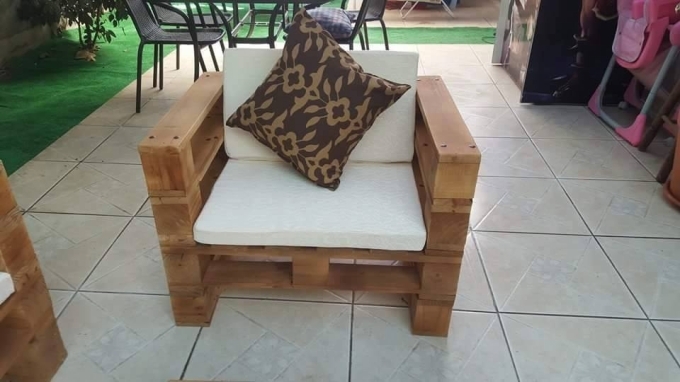 Pallet wood recycling gives us multiple home furniture items, the cost occur on them is literally near to nothing, we can exploit the designs and shapes according to our own ambition, we can paint them matching to the rest of room interior. 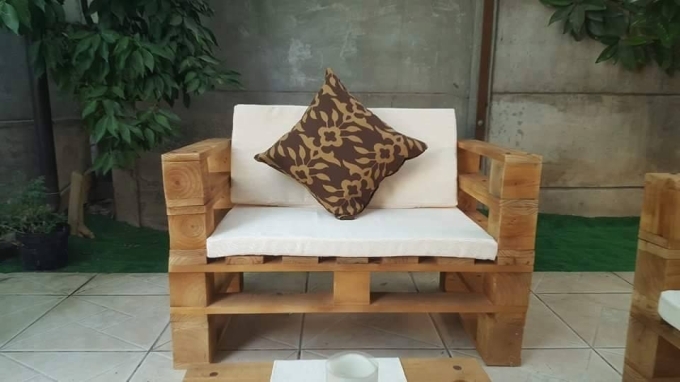 Here in this lounge furniture we made with wooden pallet, we are going to give you a demonstration that how great this pallet wood thing can be. 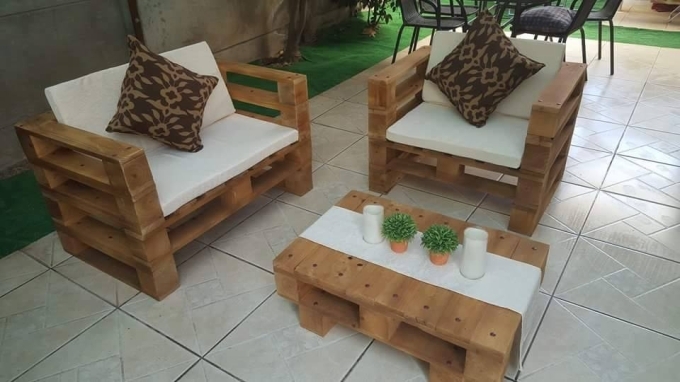 Just for your exposure and familiarity with wood pallet upcycling, this lounge furniture made with pure wood pallet would clarify the queries arising in your mind. This is a two piece and three seter sofa, along with a decent centre or coffee table. The entire lounge furniture range is made by cutting and molding pallet planks, and in none of the ways it is any lesser than the market based expensive furniture items. Just try this furniture range for your lounge, it would make your place a lavish and well furnished place to be seated.